Only weeks after its wave-making acquisition of photo-sharing network Instagram, Facebook has launched Facebook Camera for iOS, an apparent competitor to its new property. Despite investing $1 billion dollars in the existing and wildly popular photo filter app, it appears that Facebook is not leaving its potential to capture the mobile target market up to chance. 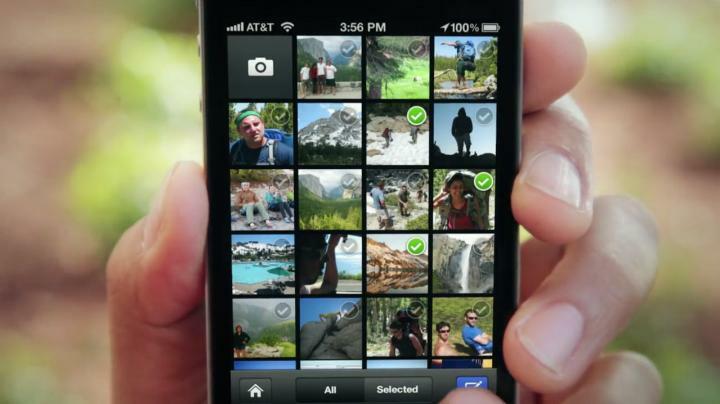 Rumors — and pictures — swirled throughout the blog-o-sphere last year when TechCrunch leaked photos of Facebook Camera. But it appears that despite its acquisition, Facebook has gone full steam ahead with its Camera project and decided to launch its own standalone photo sharing app, to be released in the iTunes app store this afternoon. According to reports, Instagram’s team had nothing to do with the development of Facebook Camera, but that doesn’t mean it shares no similarities. Like Instagram, the app comes with 14 different hues and tones that we all know as photo filters. In Facebook fashion, photos can be tagged with friends and location. But what differentiates this app from Instagram is the ability to select and upload multiple photographs at once. After upload, browsing through photos on the new app is a stress-free process, even more than on Facebook’s own Web app. Facebook wants its Web application to serve as the platform for passive activities like browsing and viewing. Its mobile strategy, on the other hand, seems to be building or acquiring applications that will allow users to more efficiently speed up the process of sharing one’s life. After all, everything we’re doing these days is done through our mobile phones. So why has Facebook decided to potentially own two applications? Facebook has been in deep waters this past week as its hyped-up IPO resulted in an unremarkable performance. On top of that, financial regulators in the United States are seeking to probe Facebook and Morgan Stanley, Facebook’s IPO underwriter, after reports that the investment bank firm may have divulged negative reports to privileged clients about Facebook’s future earnings. To make matters worse, shareholders who have purchased stock in the IPO have filed a lawsuit against Facebook and Morgan Stanley in retaliation for failing to disclose the analyst’s second-quarter and full-year forecast. Finally, the Instagram deal is currently being investigated by the Federal Trade Comission to determine whether the deal is a violation of the antitrust law. It may be some time before Facebook can reserve space in its offices for Instagram’s founders. News of its own Camera app is newsworthy for the social network, and could quell investor’s worries with the assurance that the social network does have a backup plan, and amid the chaos, the company is continuing to churn out products. On the other hand, if we’re correct about this assumption, then is Facebook beginning to show signs of bending for its investors? After all, the hoopla surrounding Zuckerberg’s hoodie during his meetings with investors was his proclamation that Zuckerberg was still in control. Let’s see how the drama plays out. Barcoded babies: Grand idea or simply ridiculous?